Farm-grown produce, picked fresh in the supermarket. Farm to table is de rigueur these days, but now one German grocery store is taking things to the next level by cutting out the deliveryman. 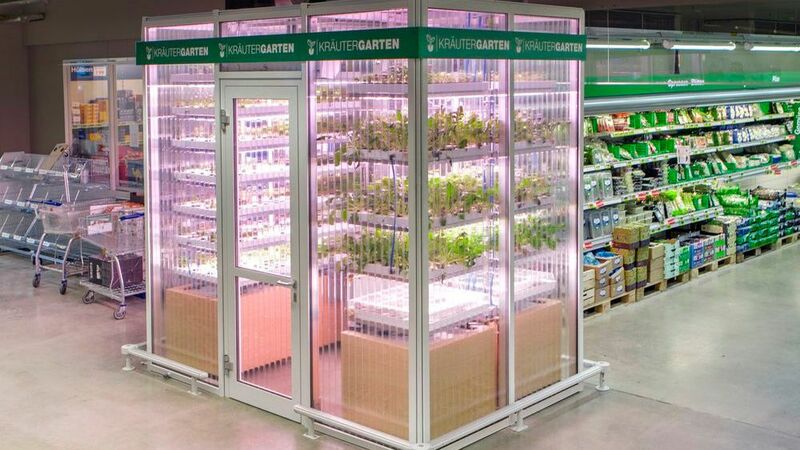 Metro supermarket in Berlin has set up a mini farm inside of the store itself. Don’t get too excited—there are no chickens or barns or even dirt in this farm. Located at the end of the produce aisle, the modular see-through room houses plants grown hydroponically under LED lights designed to replicate sunlight. Shoppers can walk right into the “farm” and harvest their own produce. The transparent greenhouse designed by INFARM currently supports plants like salad greens and herbs but, according to RT, the company says the setups are capable of being reconfigured to grown things like tomatoes, peppers and other vegetables. Not only do the hydroponic farms give customers access to ultra-fresh produce, they also help cut down on carbon emissions by eliminating the necessity of transportation, storage and refrigeration, as well as much of the water and fertilizer used by traditional farms. If the Berlin installations are a success, INFARM hopes to bring its micro-farms to other supermarkets as well as restaurants and hotels. 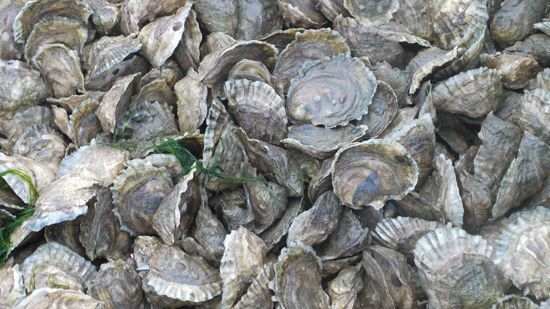 Is Vertical Farming the Key to Sustainable Seafood?